I couldn’t resist the fresh cherries in the market. First of the season; sweet and refreshing. The only downside of any type of fresh fruit is it can spoil quickly. With a large bag of fresh cherries and not wanting to waste even one the only option was to make a fresh cherry pie! 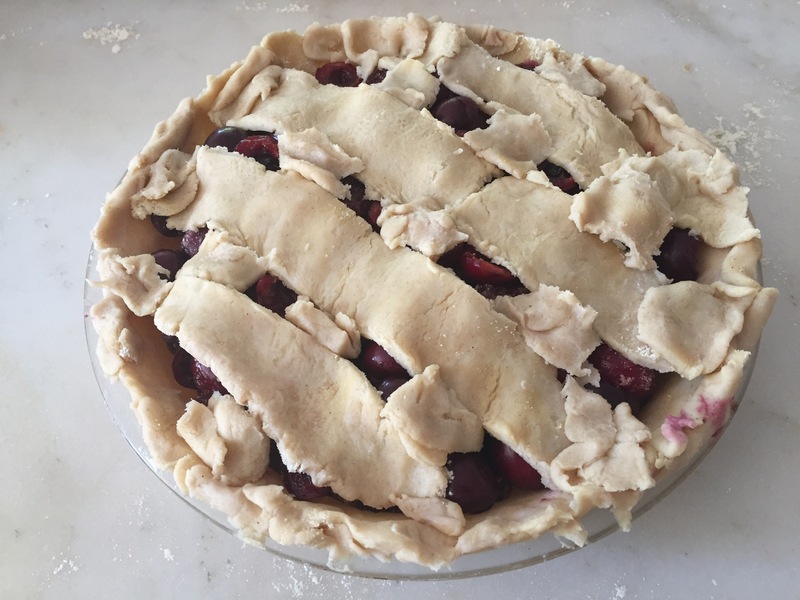 A cherry pie is simple to make and tastes amazing! How could I resist? 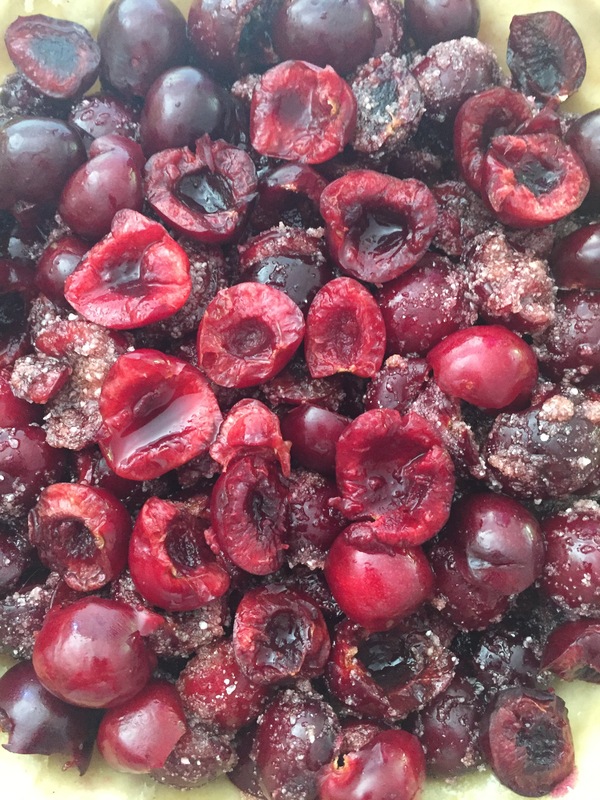 Fresh pitted cherries – atleast 2 heaping cups. You want to have a full pie shell. It can be painstaking to pit each cherry but fresh cherry pie tastes so much better then can. 2) Prepare pie shell. Refer to my earlier post about my amazing Gluten Free dough! 3) Place cherry mixture into pie shell. 5) Place pie on middle rack of oven. 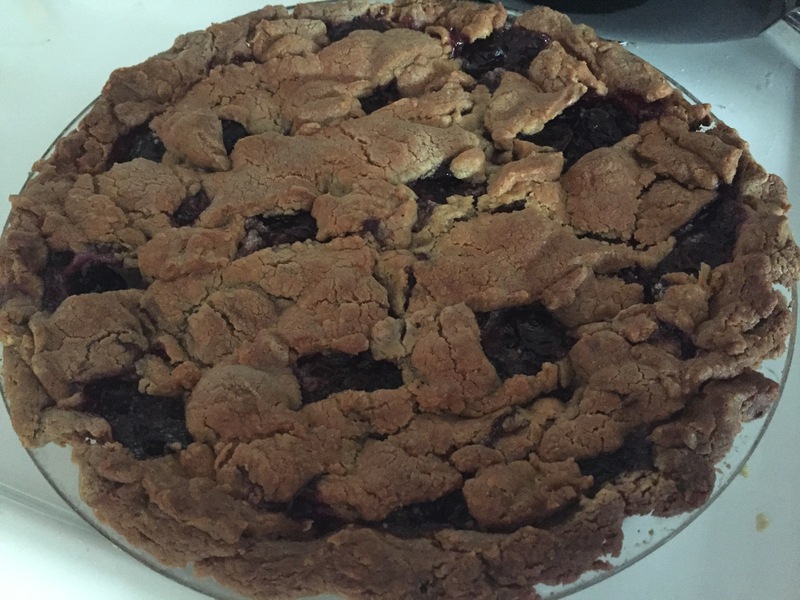 Cook for 50-60 minutes or until crust is golden brown and cherries are bubbling.